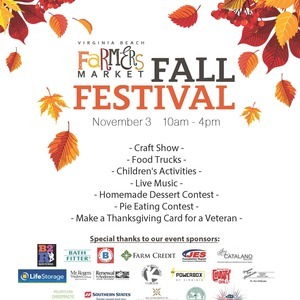 It’s always pleasant to go to the Virginia Beach Farmers’ Market, but it will be especially fun on November 3 at the Fall Festival Craft Show. In addition to the usual luscious produce and baked goods, the event will feature handcrafted items, live music, children’s activities, food trucks and workout demonstrations. Come hungry, so you can participate in the pie eating contests! Admission is free. Hours are from 10 a.m. to 4 p.m. The address is 3640 Dam Neck Road. Attending the exquisitely beautiful Nutcracker ballet is a holiday tradition cherished by many. On November 27 and 28, the Moscow Ballet will present this classic at the Sandler Center for the Performing Arts. The timeless music, hand-painted sets and extraordinary skill of the dancers will put a glow in your heart and fill you with delight. Ticket prices range from $28 to $68. Showtime is at 7 p.m. The address is 201 Market Street. Fall is a gorgeous time to camp in Virginia Beach, and our many hot deals make it even sweeter. You’ll find them on our website. Between now and November 16, you can save $15 per night on a 30- or 50-amp full hook-up RV site. Come enjoy outdoor recreation in the crisp, cool air. You can play in our Pocket Park or engage in volleyball, basketball and tetherball by day; and savor hot chocolate by a cozy campfire by night.